Warren County (Wednesday, May 10, 2017) – Culvert replacement requires closing State Route 123 between SR 122 and Pekin Road for five days beginning Monday, May 15. 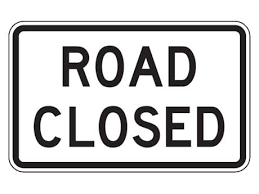 Traffic will be detoured using SR 122 and Interstate 75. Arrow boards and/or signs will be in place to alert motorists of the upcoming road closure. Bus routes will be impacted, so please be patient during this time. They will be using Beal Rd., to Weidner Rd., to Dearth Rd.,to McLean Rd., back onto St., Rt. 123 or Shaker Rd., to Manchester Rd., to Robinson Vail Rd. Any students living between Franklin Landing subdivision and Back Ln will need to go to Twin Lakes Dr., in Franklin Landing for their pickup and drop off. Anyone living between the closure and Robinson Vail Rd. & McLean Rd., will need to go to either the end of McLean Rd., or Robinson Vail near Warren County Diesel for pickup and drop off. This will be for the week of May 15th through the 19th.